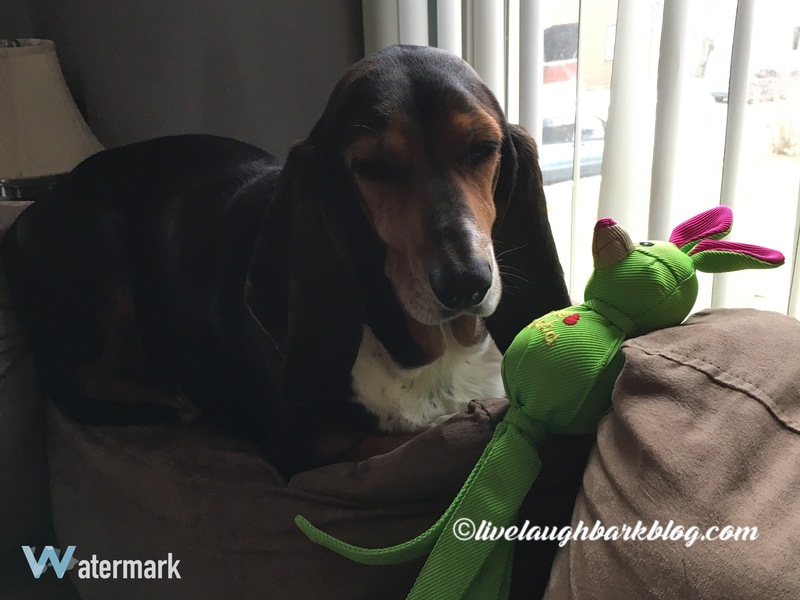 Birthdays | Live Laugh Bark(at everything)! So being busy with the holidays hustle and bustle mom has finally gotten around to posting some of my birthday from last week!! It was a pretty good day even though I did turn 8! I got a bag full of goodies, treats and a new squeaky/crunchy toy I like to call Corny!! Mom presented me with the bag first thing in the morning!! I naturally dove right in and got down to business!! I had a good breakfast of beef & eggs followed by a nap, then after a little burger for dinner I finally got my cupcake!! So today is Lilly’s birthday, she is 6. Been kind of a rough month losing her big sis and all but she has been a real trooper, she has even volunteered to take less naps to pull some extra guard duty around the house! So besides all the extra cuddles & kisses she has been getting since we lost Molly she is getting even more today!! 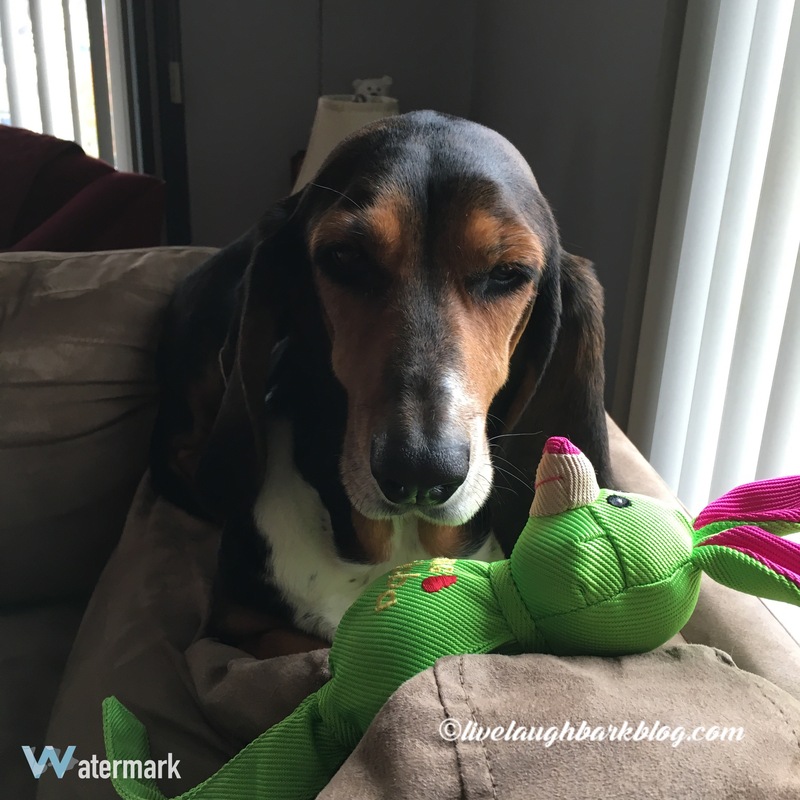 Plus she got a new Kong wubba that looks like a bunny! (two of her favorites combined in one!) Later we will celebreate with a birthday dinner of her choosing ( within reason of course). Happy birthday we love you bunches!! Don’t even think about trying to touch my toy!! Hard to believe it was seven years ago today that this little fluff ball (now a large fluff ball!) plopped into our lives! Happy 7th Birthday Miss Molly Sue..we love you! !